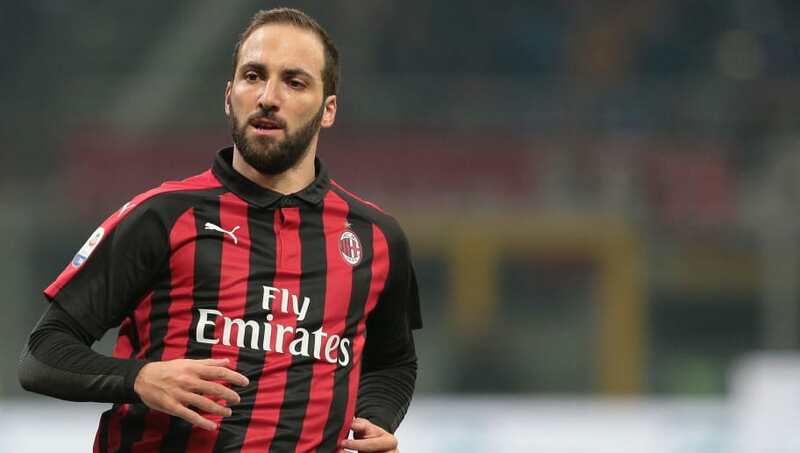 AC Milan manager Gennaro Gattuso seemed to admit that on loan striker Gonzalo Higuain wants to leave the club, amid transfer interest from Chelsea. Speaking after his Milan side overcame Sampdoria in the Coppa Italia round of 16 to secure a ​hard-fought 2-0 win in extra time, Gattuso admitted he doesn't know what will happen with Huguain but claimed it is hard to change a player's mind once they have made a decision. Speaking to Milan TV after the game, the manager said: "Higuain? I saw him in person, he was involved in the build-up and got hardly anything wrong. "I have a relationship with him that features great honesty, we say things to one another’s face. When a player makes certain decisions, it becomes hard to convince them otherwise. At the moment, he’s our player and we’re holding on tightly to him. I don’t know what will happen." Despite Milan having an option to buy Higuain at the end of the season, Chelsea are reportedly interested in the forward, and could still make a move to sign the striker from his parent club Juventus during the January transfer window, as Blues boss Maurizio Sarri looks to reunite with the player he worked with at Napoli. However, Higuain, who has scored eight goals for Milan this season, has still been named in the squad that will travel to Saudi Arabia to face Juventus in the Italian Supercup on Wednesday, suggesting a deal is not imminent. Meanwhile, ​Calcio Mercato reports that Juventus have rejected an offer to take Alvaro Morata back to Turin in exchange for Higuain. According to the report, Higuain wants a move to Chelsea, while Sarri is pushing to make the a deal happen. Juventus, however, only want to sell their striker for a cash offer and are not keen on a swap deal. The Blues hierarchy, despite Sarri's wishes, are apparently not willing to spend more than €50m for a player who is already over 30. Juve already agreed a deal worth €54m for the Argentine veteran in the summer, as Milan signed an €18m loan deal, plus the option to make the move permanent for €36m. Higuain did not get on the scoresheet as Milan beat Sampdoria on Saturday, with substitute Patrick Cutrone instead netting both the extra time goals to seal the Rossoneri's passage to the next round.